Sports video games are one of the few games that permit you to play with your favorite team and players. EA Sports has released a plethora of sports games covering all major sporting leagues and have fans dying to get there hands on the latest releases. 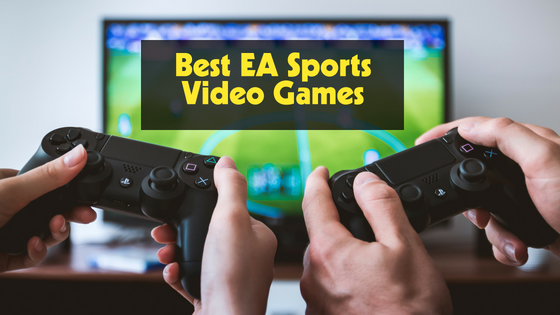 If you’re wondering what the best EA Sports video games are, here is a list that includes the top ranking EA Sports games. Surprised that soccer is at the top of the list? Don’t be. With a massive following all over the world, soccer is one the world’s most popular sports. And with EA Sports’ FIFA series, this video games is one of the world’s most popular sports games to play. EA Sports not only renovated the graphics for this game, but they added peculiarities that make the gameplay seamless, capturing the essence of the game. With features such as creating your player, or being a manager of a team, this game has a high rating among those that solely play sports games. The versatility within this game coupled with the online multiplayer modes offer players extended playing time and captured that anxious feeling you get at a real-life game, but only this time you’re in control. Also, since its debut has soccer fans all over the world eager to play with the top ranking players and teams. Play the latest FIFA 18 video game by booking GameTruck Inland Empire to see for yourself why it’s the highest ranking sports video game. When you compare sports games to their earlier or later releases, it’s easy to recognize the drastic changes made to improve the look and feel of the gameplay. But there’s one game that stands out amongst its cohorts – NHL 94. NHL 94 offers a simple, yet engaging gameplay with straightforward controls that later versions refers to as “NHL 94” control options. Even with the unrealistic graphics, NHL 94’s gameplay is as authentic as any sports game ever made. NHL 94 is a staple video game for hockey fans. Today, there are plenty of online forums centered solely around NHL 94. The following for NHL 94 is tremendous and it’ll be hard to find fans that are as dedicated to a game as those of NHL 94. NCAA Football outranking Madden might be jaw-dropping, but what gave EA Sports’ NCAA Football series an upper-hand on Madden is the single-player mode, “Dynasty Mode.” EA Sports allowed each player to become the head coach of a college football program, letting the players start building their teams from the ground up, all the while controlling every aspect of the program beginning with recruiting the players. EA Sports perfected this game to allow for each player to experience what it was like being a star NCAA coach. Named after legendary coach and broadcaster John Madden, Madden NFL is one of EA Sports signature games released on all consoles. With its unchanging gameplay throughout the years, Madden NFL has become a common video game played by just about every sports gamer. With the first installment released in 1988, the franchise has had a steady climb up the gaming charts over the years. They even launched national competitions for players to showcase their Madden skills, paying with a team or in single player mode. The athletes themselves have become widely invested in the game by openly endorsing the game. What makes Madden standout from the other video game franchises is its 30-year seniority, and it doesn’t look like their momentum is stopping; with the way things are going for Madden, it’s likely that the franchise can last another 30 years. It’s Your Turn To Play The Best EA Sports Video Games! GameTruck Inland Empire offers the latest and the best EA Sports video games so your kiddos can have a great time at their video game party playing with their favorite athlete. Call us today at (866) 253-3191 or visit our website to book your next video game party!